Chattanooga attorney Mark Young has more than 30 years of experience preparing and filing Chapter 7 and Chapter 13 petitions. 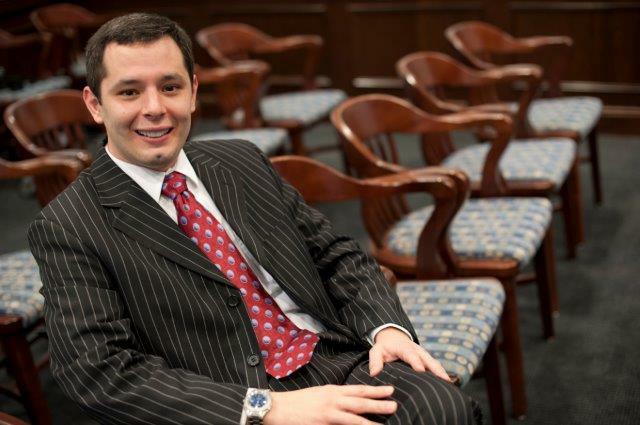 As a board certified consumer bankruptcy attorney, he possesses sophisticated knowledge of the federal Bankruptcy Code. When the stress and anxiety of overwhelming debts causes you to lose sleep or affects your ability to lead a normal life, bankruptcy protection may be the best resolution to your financial struggle. At Mark T. Young & Associates, we are dedicated to helping individuals and small businesses pursue and obtain debt relief through Chapter 7 and Chapter 13 bankruptcy protection. Our experienced legal team takes a proactive approach to preparing and filing petitions. Unlike other firms that handle bankruptcies, we handle only bankruptcy matters. Our in-depth bankruptcy focus includes bankruptcy guidance for couples and individuals going through divorce, as well as individuals struggling with student loans, medical bills and tax debts. Why Choose Mark Young & Associates? Our Tennessee law firm provides comprehensive bankruptcy representation focused on guiding individuals and small businesses through the process with as little stress as possible. We understand that you have been going through a very stressful situation, and we are here to address your concerns and issues. Our firm provides: Guidance from a Board Certified Bankruptcy Specialist Representation based on more than 30 years of experience Exceptional client service When you retain Mark Young & Associates, you can be assured that your matter will be handled effectively and efficiently. We devote necessary time, talent and resources to each client because client service is our guiding principle. We believe everyone deserves a chance to start anew and achieve a debt-free life. If you are struggling to make ends meet, or need to stop a foreclosure, repossession or garnishment, bankruptcy may be the answer. At Mark Young & Associates, our legal team understands the emotional and financial hardships associated with overwhelming debt. We are aware of the fears and concerns people have about what is involved in filing for bankruptcy protection. We are directed by board certified consumer bankruptcy attorney Mark Young, who has more than 30 years of experience preparing and filing Chapter 7 and Chapter 13 petitions. We are committed to helping individuals achieve more than debt relief: We are committed to helping you achieve financial freedom.